When we accumulate things over time, we tend not to notice it getting out of control. That’s how I feel about my makeup collection, over time it’s gotten to be quite large even though I rarely buy new makeup. 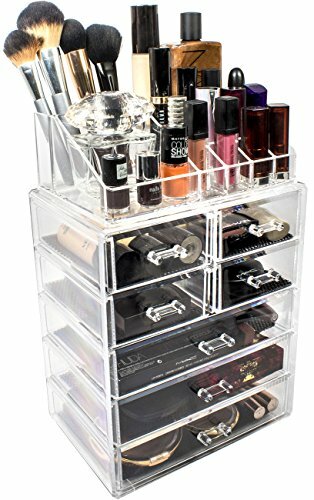 To make sure I can always find something when I need it, I try to use makeup organizers. This helps me to see what products I am forgetting to use as well. There are always those few products that we end up never using and having to throw out because they are expired. It really helps to be able to recognize a product right away versus having to look for it amongst a bunch of other products sprawled out all over your vanity or bathroom counter. 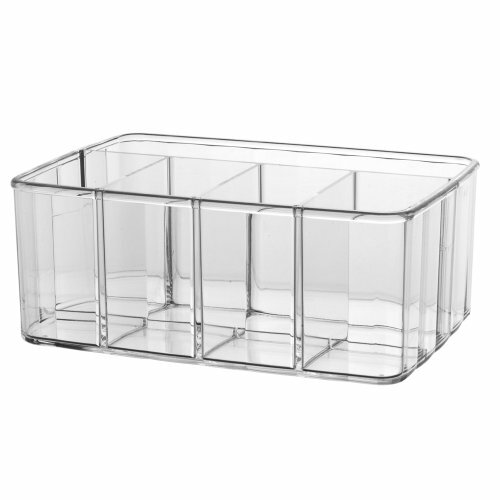 The great thing is that these organizers are very affordable as well. If you are looking for a makeup organization solution, check out my picks below. This one has a brush holder as well. It seems useful for liquid products like skincare products or foundation because of the height of the compartments. Although it is made from acrylic, it is designed to mimic crystal, making it look a little elegant. This one has a variety of compartment sizes. This would be good to store a morning/evening skincare routine , or for the products you use for your everyday makeup look. Obviously this storage solution has a little more room. 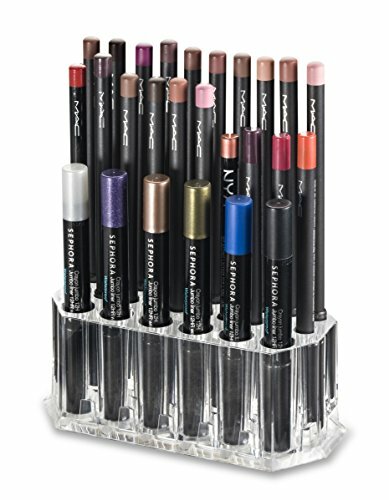 For those of you who prefer to store your makeup in drawers, this one is better. It’s perfect for storing things pencil products as well (eyeliner, lipliner, etc.) that usually don’t do well standing vertical. I chose this one because it seems to have a lot of space and many compartments. It even has the brush pockets on the top. It is inevitable that you will pack more makeup than you’ll end up using when traveling. So it’s better to go with a big travel makeup case so you won’t have to pay for it by trying to stuff a lot of products in a tiny bag. This set of drawers looked spacious, and could probably easily store lipsticks, small compacts, and single eyeshadows. 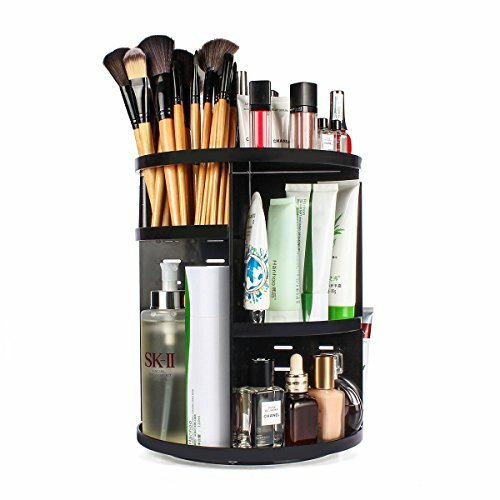 If your collection consists of mainly brushes, lipsticks, and pencil products, this compartment organizer might be better for you. It will hold all of those tubes upright and make them easily accessible. One thing that most all makeup organizers exclude is space to store your palettes. The trend these days is bigger eyeshadow palettes, which are often hard to store. 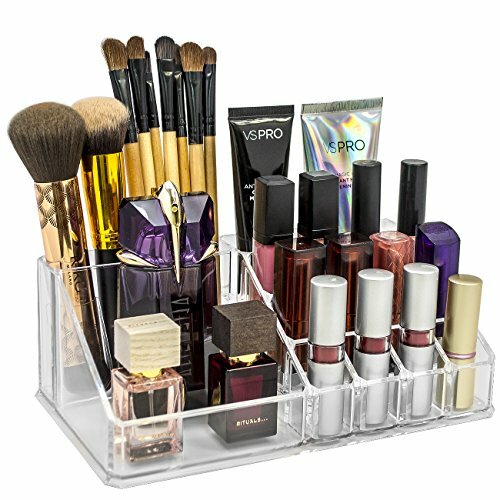 Having a palette organizer like this one means you can easily store your palettes on your vanity or bathroom counter instead of hiding them all in a drawer like most of us end up doing. 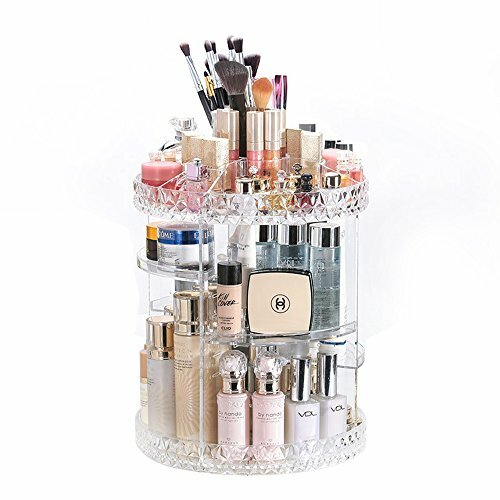 This organizer is perfect for someone with a small makeup collection. 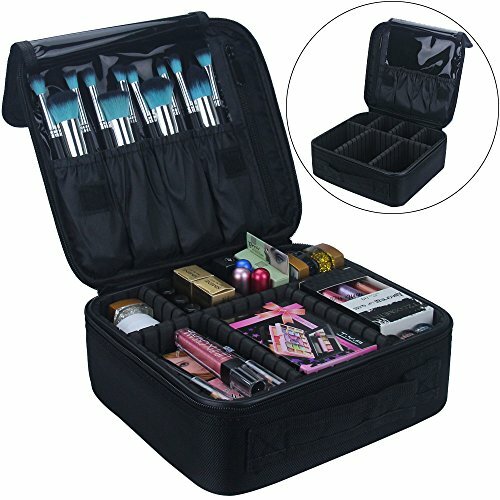 There is quite a variety of sizes between the compartments, and you can even store brushes as well. We all have that one thing that we tend to collect more than anything else. For me, that’s eyeshadow. But if for you it’s pencil products – whether that be lip pencils or eyeliner – you might consider a dedicated holder just for those. 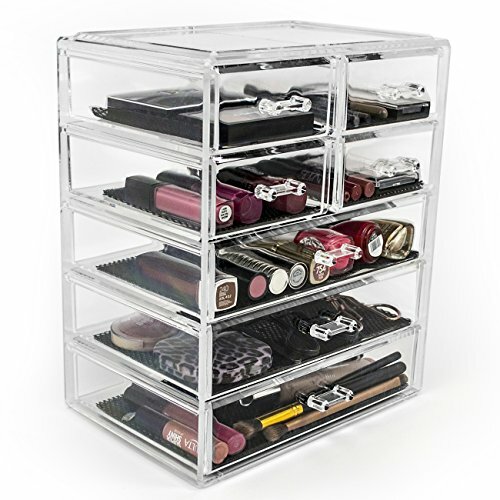 I tend to stick to acrylic organizers and holders because they are the most affordable and functional. It keeps my makeup within reach when I have to apply it, and ensures nothing is lost or wasted. 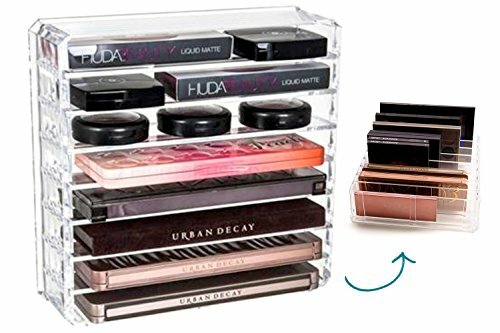 If you have a small makeup collection, you might get away with just one or two of these organizers. For other people such as myself who have more than a few products, you might find it necessary to purchase multiples. If you’re tired of feeling like your makeup is all over the place and you can never find anything when you need it, you might want to think about getting something like the items listed here.